The Future of Taxi Design – How will it Affect Your Business? 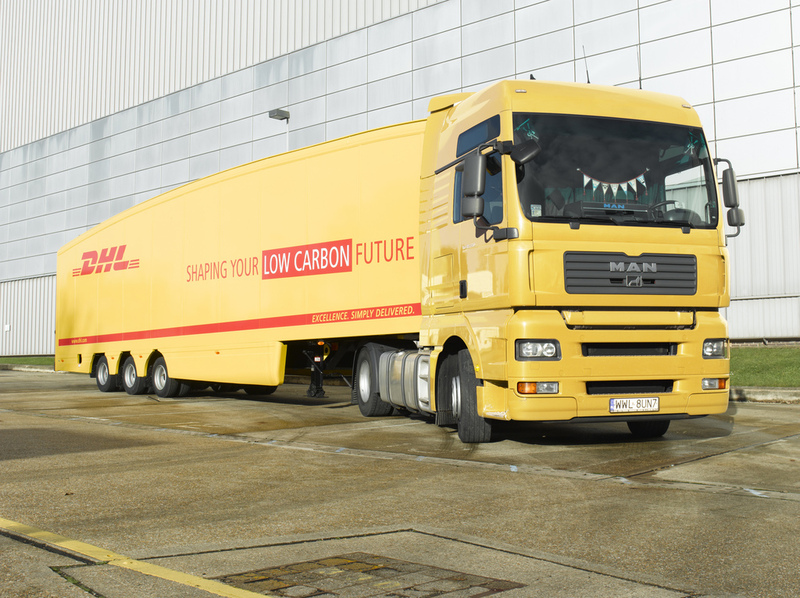 Truck Design – Insurance for our Future? The popularity of electric cars has increased considerably over the last few years. Due to improved infrastructure and better models being made available, a number of people are now taking the plunge into the electric market. If you’re considering buying an electric car then below are 5 great models to consider. The Volkswagen Up is a highly regarded city car and the electric model provides the same great driving experience with the added benefits of being a quieter ride and being cheaper to run. The e-Up does cost considerably more when compared to the petrol model so this is worth bearing in mind if you’re on a budget. 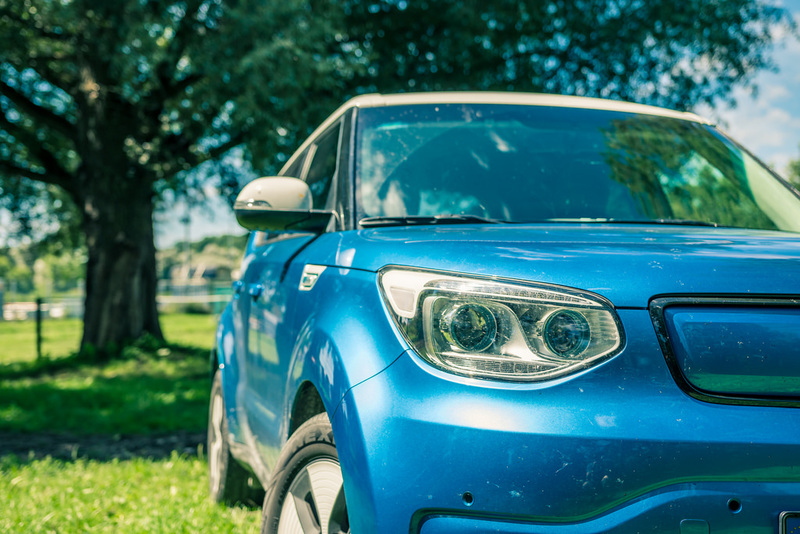 The Kia Soul EV is very impressive considering it’s the manufacturer’s first electric car. 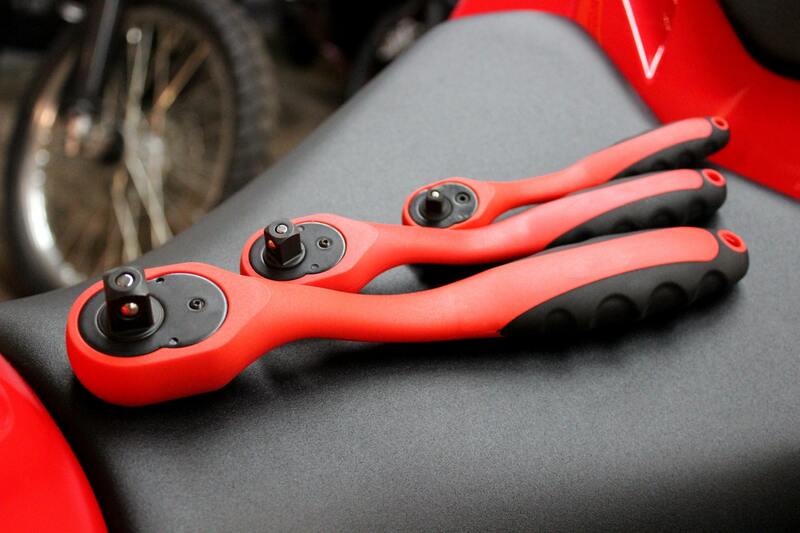 It provides a very smooth and responsive ride thanks to the instant torque from the electric motor. The interior won’t be to everyone’s taste and it is rather costly but the pros far outweigh the cons with the Soul EV. It would be a great choice for a first electric car. The Hyundai Ioniq provides buyers with plenty of choices, being available as a standard hybrid, a plug-in hybrid and a fully electric vehicle. 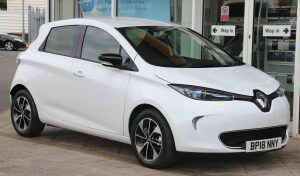 The pure electric model is considerably more expensive than the hybrid so this is something to bear in mind. All models of the Ioniq provide an excellent, smooth ride and the interior is particularly nice, with Premium models coming with heated seats and built-in sat nav. 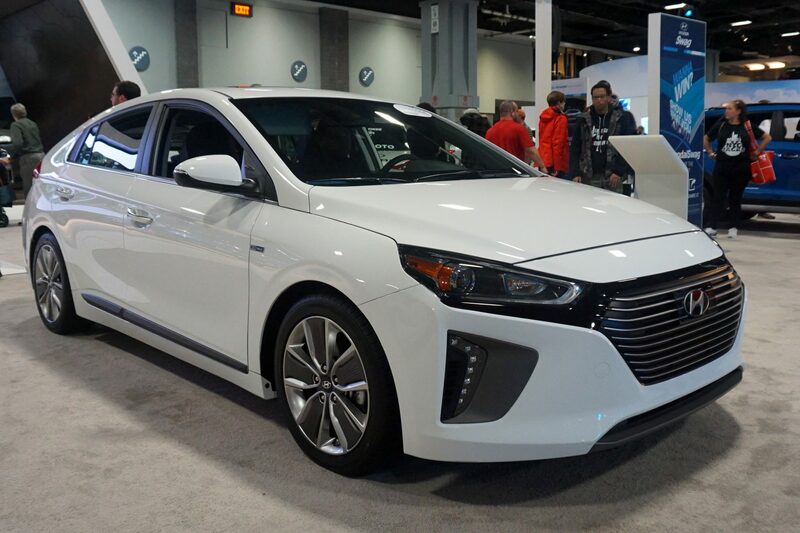 If your budget will allow then the Ioniq is an excellent choice. 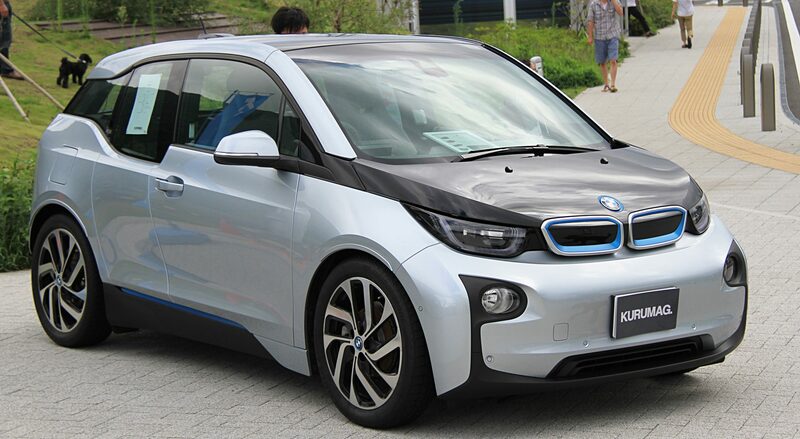 The i3 is one of the most popular electric cars currently on the market and for good reason. It combines great looks, both inside and out, with a fantastic ride thanks to its carbonfibre body. As well as the fully electric i3, there’s also a Range Extender model that comes with a petrol engine to power the car’s batteries. The Renault Zoe continues to be one of the most sought after electric cars in 2018. Its stylish design, great ride and generous interior space mean it’s a desirable yet practical model. If you’re a car enthusiast then you might have been put off the idea of electric cars because you’ve heard they’re less powerful or are not practical for every day driving. However electric cars are becoming more popular all the time and come with some unique benefits that mean they’re well worth considering. Below are some of the main things to consider to help you decide if an electric vehicle is the right choice for you. Where you live – Where you live is certainly a big factor to consider when you’re thinking of purchasing an electric car. If you live in the country then you might not have easy access to an electric charge point since petrol stations are more sparse. However this problem can be addressed by having an electric charge point installed at your home. If you live in a major city such as Manchester, Liverpool or London then finding a nearby charge station shouldn’t be an issue. How you use your car – How you use your car is another big deciding factor as to whether an electric vehicle is right for you. Electric vehicles cannot get as far as diesel or petrol engines on a single charge. This means if you commute long distances each day then an electric vehicle might not be practical. A good compromise in this case would be a hybrid vehicle, that has both an electric motor and a standard petrol/diesel engine. 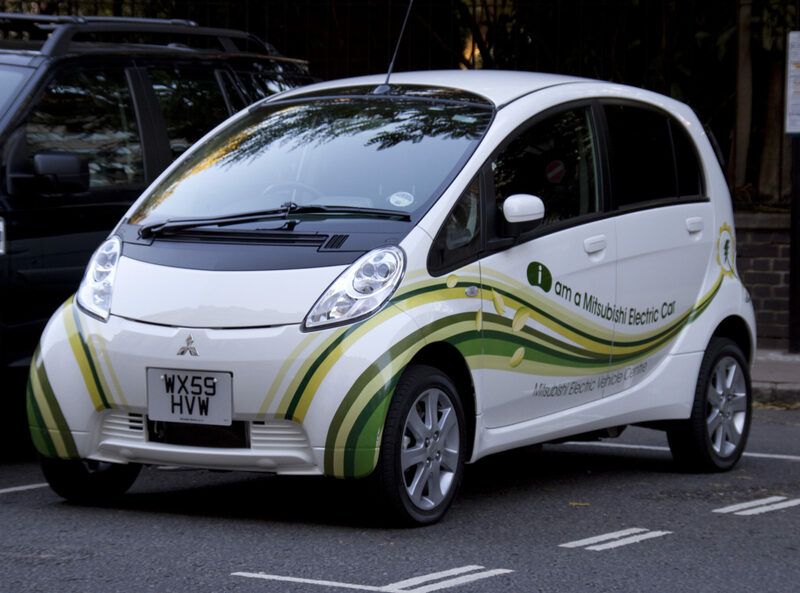 If you do a lot of city driving then an electric vehicle is perfect since it’s not only much better for the environment but you will also save a significant amount of money on fuel costs. 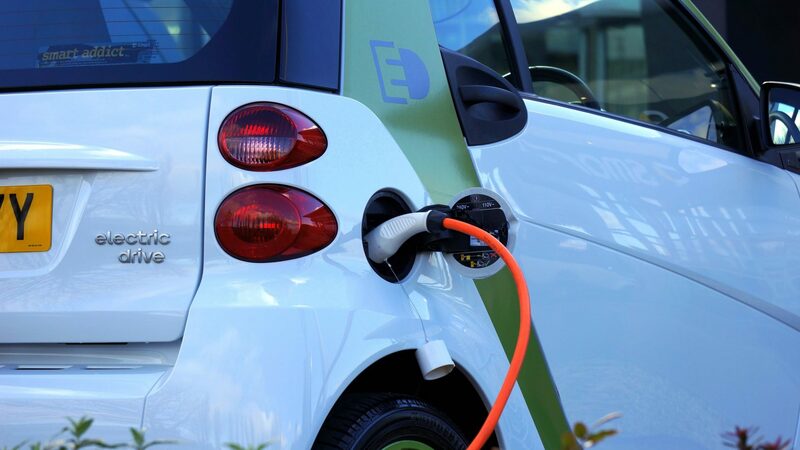 Insurance – Insurance is usually not an issue with electric vehicles and a lot of the time, they’re cheaper to insure than standard cars since they’re less powerful and therefore less likely to be involved in a collision. It’s always a good idea to look for specialist electric car insurance providers since you could get a better deal. Towing- If you need to tow another vehicle, such as a caravan or horse trailer, then you should do your research and make sure that the electric car you’re considering is capable of towing. Again, a hybrid vehicle could be a good compromise in such a scenario. If you have a passion for cars then you’ve probably thought about making a living from them at one point or another; maybe you already do. There are countless jobs you can do in the motor trade but one of the most potentially profitable is buying and selling cars. Below are some of the keys to making a living buying and selling cars successfully. When starting your own business it’s always better to start small and scale your way up as you learn more. This is certainly true when it comes to buying and selling cars. While it might be tempting to invest in high end vehicles and start renting a premises straight away, this is going to put a lot more pressure on you to be successful right from the start. If you don’t have much experience buying and selling then it’s definitely better to start off small to begin with. The key to making a good profit when buying and selling cars is to get them for the best price possible. 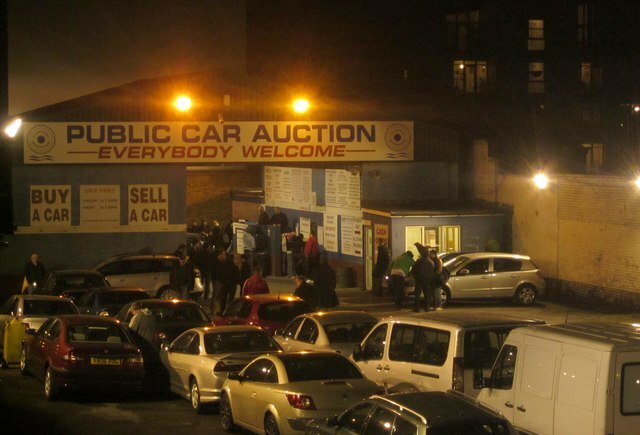 The usually means buying privately, whether it’s from car auctions or from private sellers online. Buying privately does come with some risks so you’ll need to be knowledgeable about cars so you can avoid the usual pitfalls. 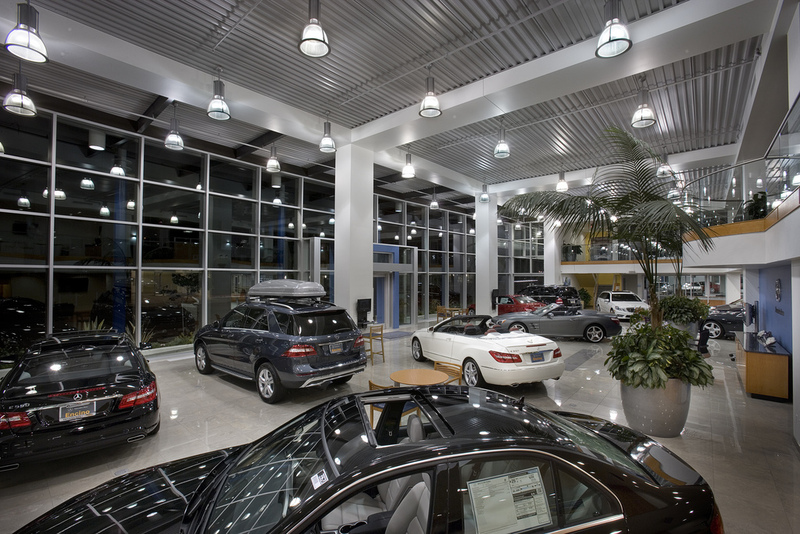 Click here for more information on the best places to buy used cars. Although you can start off buying and selling without a premises, this is going to be very limiting since you’re only able to sell cars that you have space for at home. Trying to trade from your home is never going to be sustainable for long so you want to start thinking of investing in a premises quite quickly. Whether you rent or buy will depend on your current financial circumstances and how confident you are that you can make the business a success. Many people start by renting and then invest in the property once they’re more established. Having the right cover is key when working in the motor trade. Motor trade insurance will cover you for every risk associated with buying and selling cars, including road risks and liability claims. If you have a premises then you can also get a combined policy, which will not only cover your vehicles but also your building, stock, tools and cash as well. The taxi industry is one of the most competitive out there. That being said, there’s always room for competition and if you’re able to set yourself apart and offer an excellent service then there’s no reason you can’t run a very successful business. 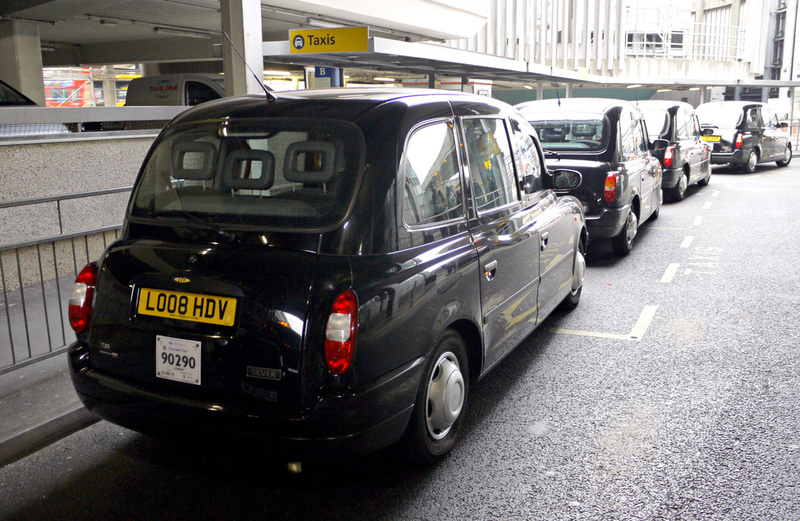 Below are some of the most important things to consider when setting up a new taxi firm. The location of your office is extremely important. The first thing you need to decide is whether the office is going to serve solely as a base for your drivers and a place to take calls; or whether you’re also going to accept walk-in customers. The reason the location of the office is important is not just because of how easily accessible/visible it is, but also because of the range you’ll have if using two-way radios to communicate with your drivers. A location that’s higher up will have much greater reach than one that’s in a dip. The best location for an office, especially if you want to attract walk-in customers, is one that’s on reasonably high ground and also in a fairly busy area that’s likely to get a lot of foot traffic in peak times. Another key decision to make is regarding vehicles. If you decide to use your own vehicles then it will of course require a much larger initial investment. You’ll have to pay for the cost of the vehicles themselves as well as the tax, insurance and licencing plate. The alternative to this is hiring owner drivers who have their own vehicles. This is a much cheaper option and allows you to expand much more easily. It’s also possible to use a combination of your own vehicles and owner drivers. You should weigh up the pros and cons of both. Don’t forget that when using your own vehicles, they’ll need to be licenced by the local licensing authority so find out if there are any restrictions as to what type of vehicles can be licenced in your area before buying any cars. When hiring drivers, whether they’re owner drivers or going to driving your vehicles, you should be very selective. Hiring drivers that are unreliable and/or inexperienced can have a very detrimental effect on your business. Most taxi firms will only hire drivers that are 25 years or older and who have a clean driving licence and little-to-no insurance claims. This will not only ensure that your business runs smoothly but also lower the cost of your insurance. If you hire owner drivers then you’ll need to be sure that they have the required level of insurance to drive legally. If you have numerous vehicles then you can insure them under a taxi fleet policy to save time and money. Insurance is a must for any taxi firm. You’ll want to ensure that your premises are covered by a good insurance policy for theft and structural damage. 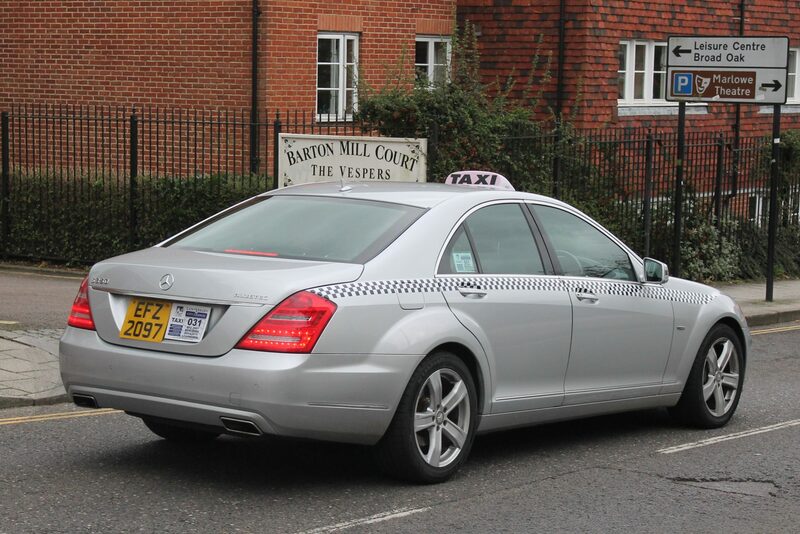 You will also need the correct insurance for private hire use or public hire use. There are many excellent providers of business insurance, who’ll be able provide cover for your premises and vehicles in a combined policy. 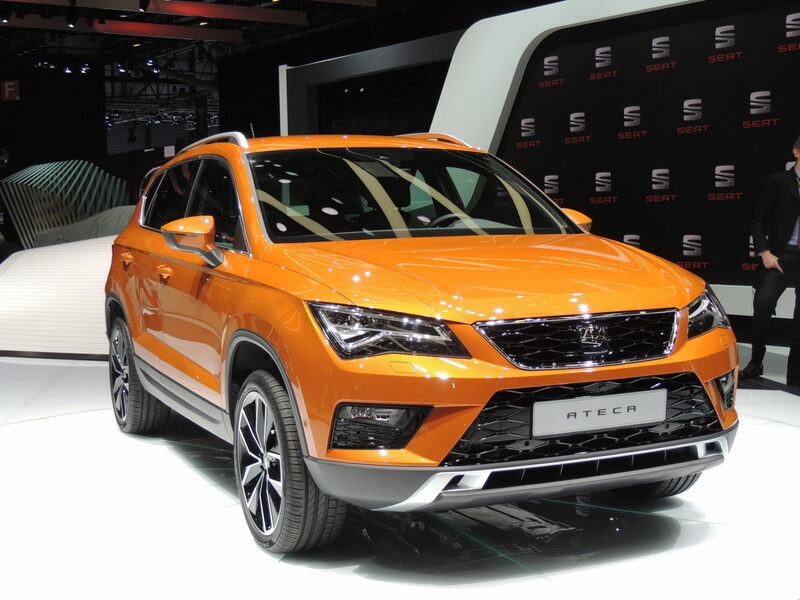 Go behind the scenes to see how SEAT created its 20V20 concept. The journey starts with an initial sketch all the way to a show car. Unveiled at the Geneva motor show, the Vision 2020 SUV sets the stage for the Spanish carmaker’s future by putting forward the brands new language of design. Whether you’re a truck driver who needs to insure your own vehicle, or you operate a trucking firm and need to protect multiple vehicles, truck insurance is a necessity. Not only will truck insurance enable you to drive your truck legally but it will also cover for any risks that you face on the road in addition to theft, fire and breakdowns. Finding truck insurance at a good price is now easier than ever thanks to the number of online truck insurance providers. When you’re looking for hgv insurance online, it’s always a good idea to know exactly what type of cover you want to get. This means that you can make a firm decision and avoid getting cover that you don’t need. Below is an explanation of the insurance options available as well as some great ways to save money on truck insurance. Third Party – Third party insurance is the lowest level of cover you can get and as you would expect, provides minimal protection for your own vehicle. In most cases it’s recommended that you get a higher level of cover but third party insurance will enable you to drive your truck legally. Third party, fire & theft – Adding fire and theft to a third party policy gives you that much more protection. Both are very real risks, especially for smaller trucks and vans that are easier to steal so getting both fire and theft covered in your policy is always a good idea. Comprehensive – A comprehensive insurance policy will provide full protection for your truck for all types of collisions. This means if you’re involved in an accident that you’re liable for, both your own vehicle and those of any other parties would be covered. A comprehensive policy is always recommended wherever possible. Loss of licence – If you were to lose your licence for whatever reason, loss of licence insurance would ensure that you’re compensated until you were able to get it back. Public liability – Liability claims are something that every truck driver and truck firm owner must worry about. If a member of public or another driver were to be injured or killed as a result of negligence on your part then a liability claim is a very real possibility. Breakdown assistance – Breakdown assistance is a must for truck drivers. If you don’t already have it then you’ll be able to have it included as part of your policy for an additional cost. Most insurance providers will offer breakdown assistance at a very competitive price so even if you’re already a member of another breakdown service, it’s still worth enquiring about it as you may be able to save a significant amount of money. European cover – If you need to drive your truck outside of the UK, then you’ll need to get additional cover in place. The road laws in other EU countries are different so you cannot rely on your insurance to cover once you’re outside of the country. Windscreen and glass repair – Windscreen and glass repair is a very useful additional type of cover to have. Repairing cracks can be more costly than you think so it will provide you with extra piece of mind. Knowing how to save money when taking out truck insurance is extremely useful. Below are some of the most reliable ways to do this. Pay upfront – Although paying more money upfront than you have to might not sound appealing, it’s actually one of the best ways to cut down the cost. If you can pay for your policy annually rather than monthly then you’re in a very strong position to negotiate a lower price for it. 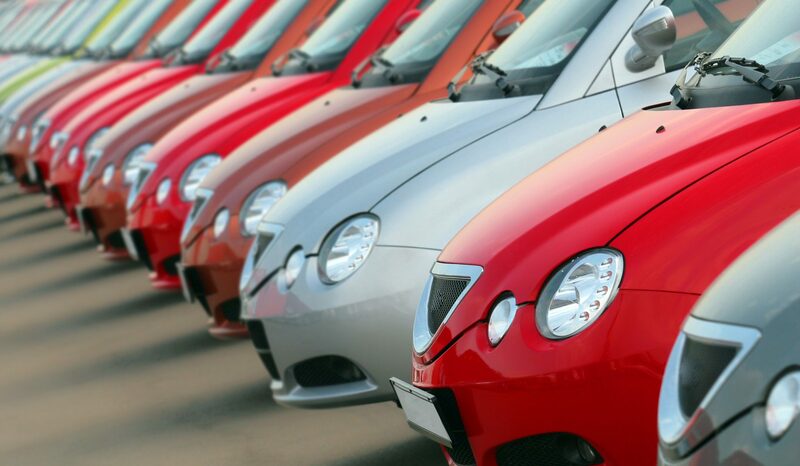 Consider a fleet policy – If you need to insure multiple trucks then the best way to do it is by getting a fleet policy. Fleet policies are not only cheaper when compared to insuring trucks individually but they’re also much easier to manage. Reduce cover options – Having a high level of cover is always good but if you want to save money then it’s a good idea to reduce the number of cover options to what’s strictly necessary. Shop around – This one should go without saying. The prices that you’re provided with can vary a lot from one insurance provider to the next. Therefore it’s always a good idea to get as many quotes as possible before committing. 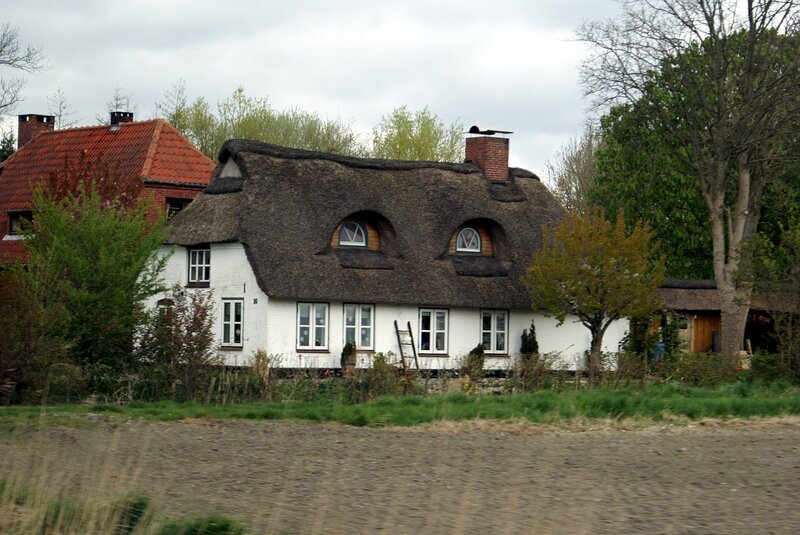 When it comes to getting truck insurance quotes you have a few different options. You can choose to call different insurance providers to obtain quotes. Whilst this is beneficial in that you can have your questions answered immediately, it comes with a few key drawbacks. Firstly when you call insurance providers separately, it takes a long time to get a good amount of quotes. This is far from ideal when you’re looking to save time money. Another big downside of calling insurance providers by phone is that you’ll often be given the hard sell. It’s the job of customer representatives to close deals so if you want a no pressure quote, it’s not always the best way. The alternative to this approach is to get your quotes online. Getting quotes online is much quicker and easier and will give you the ability to compare them very easily. To get quotes from a panel of truck insurance specialists, all you have to do is click on the red button below. Once you’ve provided a bit of information about yourself and your policy needs, you’ll then have access to your tailored quotes. If you work as a mechanic then getting the right type of insurance is vital. Working on customer vehicles all the time means you need to be covered in case something goes wrong. Many business owners have found themselves on the wrong end of a liability claim so making sure you protect every aspect of your business is key. Below are some of the main types of cover you can get with a mechanics insurance policy as well as information on where to find cover. Road risks – Road risks insurance is essential for mechanics. It will cover you and any employees you have for working on customer vehicles as well as transporting them as needed. You can choose what level of road risk cover you want to have included in your policy. Legal expenses – If you find yourself in a position where you need to fight a liability claim in court then you will certainly be glad to have legal expenses as part of your mechanics insurance policy. It will ensure that you’re covered for the legal costs involved in fighting the claim. Combined insurance – A combined mechanics insurance policy provides a way to get full protection for your business. In addition to covering vehicles, it also provides protection for your premises, tools, stock and cash. Being able to cover every aspect of your business under one policy makes things more convenient and often proves to be cheaper than getting a separate policy for your premises and its contents. 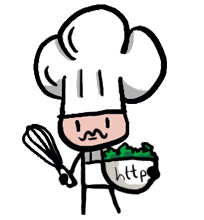 There are many great websites out there now that enable you to get quotes in a quick and easy manner. One such such site is UK based Traders-insurance.com. Getting quotes is simply a matter of filling in a quote form with the details of your business and the level of cover you require. Getting a lot of quotes is one of the best ways to save money on mechanics insurance in the UK so it’s very useful to be able to obtain multiple quotes from the same place. If you enjoy driving then you might have considered a career that enables you to be on the road the majority of the time. There are some great things about driving for a living – you don’t have a boss breathing down your neck, you’re not stuck behind a desk all day and in most driving jobs, you’re meeting new people all the time. 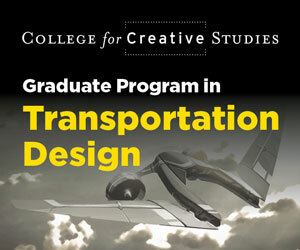 There are quite a few career options open to you when you have your own vehicle. The number of options you have will depend on the type of vehicle you own. Below are some of the most obvious ones. Taxi driver – Becoming a taxi driver is a very viable career option for car owners, especially those who are over the age of 25 and have plenty of driving experience. 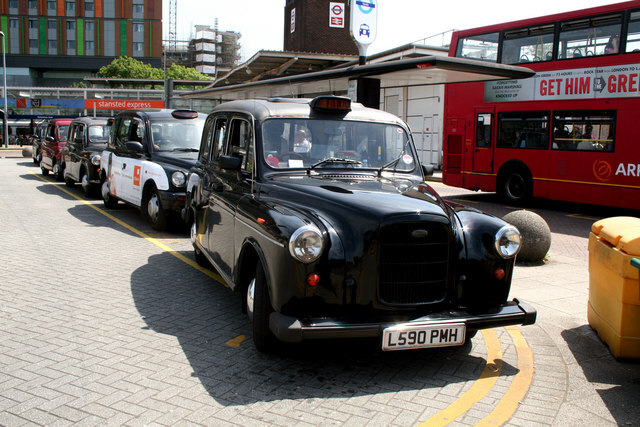 In order to work as a taxi driver, you will need to obtain a taxi drivers licence with your local council. The requirements for obtaining a licence vary depending on where you live. There are some areas of the country where a taxi drivers licence is notoriously difficult to obtain. For example, in London you must demonstrate an intricate knowledge of the roads and landmarks across the city before you’re able to work as a black cab driver. This test is known as ‘The Knowledge’. Van driver – If you own your own van then you have the option to work as a van driver. There are quite a few options for van drivers to earn a living. You can work for a company that needs a delivery driver, you can work as a freelance courier or you can work in removals. Most people who are looking to purchase a new vehicle will stick to regular cars but there’s plenty to be said for getting a larger vehicle, such as a minibus. Below are some of the biggest advantages of owning a minibus. One of the most obvious benefits of a minibus is that it gives you more room. 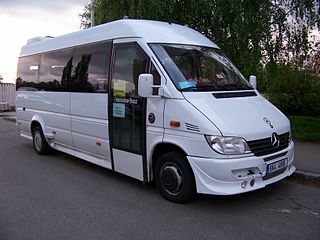 If you have a large family or are involved in the community in some way, then having a minibus is extremely useful since it enables you to transport more passengers. Another great advantage of owning a minibus is that it opens job opportunities. For example if you’ve ever thought of becoming a taxi driver then you’ll be much more likely to be hired by taxi firms who are looking for minibus owner drivers. Insurance comparison sites such as Insure Minibus are excellent for obtaining minibus insurance quotes in a quick and easy manner. 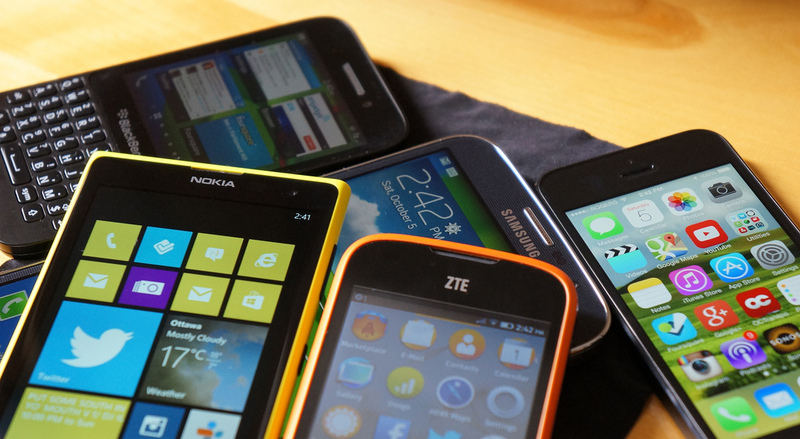 Getting multiple quotes is always recommended since it will enable you to easily compare them and pick the best policy. If you drive your minibus for charitable purposes then you can also benefit from discounted insurance providing you’re able to supply the correct documentation. One of the first decisions you have to make when buying a minibus is whether you’re going to buy new or used. There are many pros and cons of buying used and new and often it will come down to the budget you have available. The big advantage of buying a brand new minibus is that you’ll have a guarantee and your vehicle is a lot less likely to suffer from problems. If you do decide to buy used then where you buy from is extremely important. Buying from a private seller means you’ll be able to get the best deal but it also comes with some potential pitfalls. For example there are usually no comebacks when you buy private so you need to be very confident that there are no major problems with the vehicle. Alternatively you can be used from a garage or showroom, which is usually the much safer option for first-time buyers. You will usually get a guarantee and have some protection should anything go wrong with the vehicle. One of the biggest concerns that critics of self-driving cars have is the ability for them to be interfered with by hackers. However Google is combating this problem by opting to keep its self-driving cars offline most of the time. “Our cars communicate with the outside world only when they need to, so there isn’t a continuous line that’s able to be hacked, going into the car,” John Krafcik told the Financial Times in an interview in Detroit. 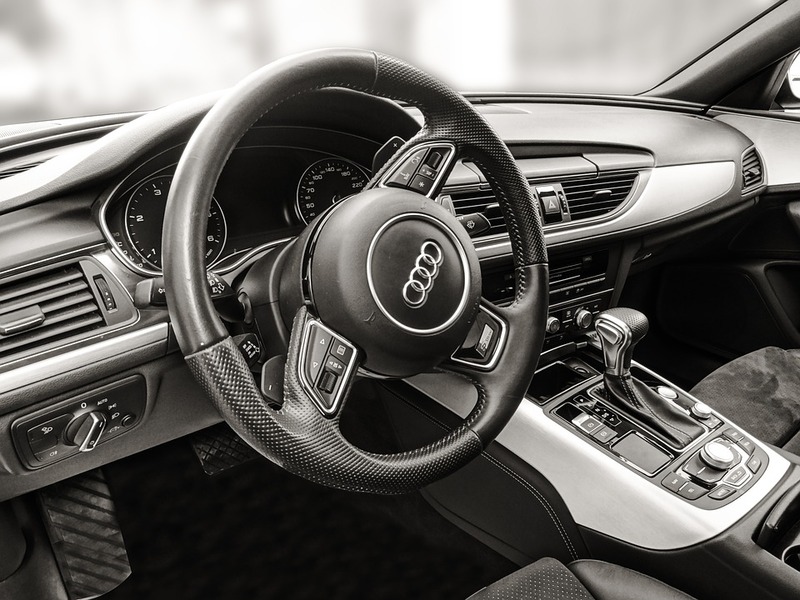 “When we say that our cars are autonomous, it’s not just that there’s not a human driver, but also that there is not a continuous cloud connection to the car,” he said, adding that cyber security was “something that we take very very seriously”. Google’s fears about hacking are not unfounded, as other car manufacturers, such as Nissan and Chrysler have been targeted by hackers. What makes self-driving cars vulnerable to hackers is the fact that they’re connected across a central system. This means that hackers can gain access through one channel and then take control of several functions within the vehicle. However Waymo technology is designed to be mostly self-reliant, only requiring an intermittent connection to the cloud in order to obtain traffic reports amongst other things. This means the opportunity for hackers to gain control of vehicles using Waymo technology is much more limited in comparison to other self-driving cars. It’s a well-known fact that diesel cars are more harmful to the environment than standard petrol cars but few people realise just how toxic they are. New data from the International Council on Clean Transportation shows that diesel cars can produce as much as 10 times the amount of toxic gas when compared to buses or trucks. 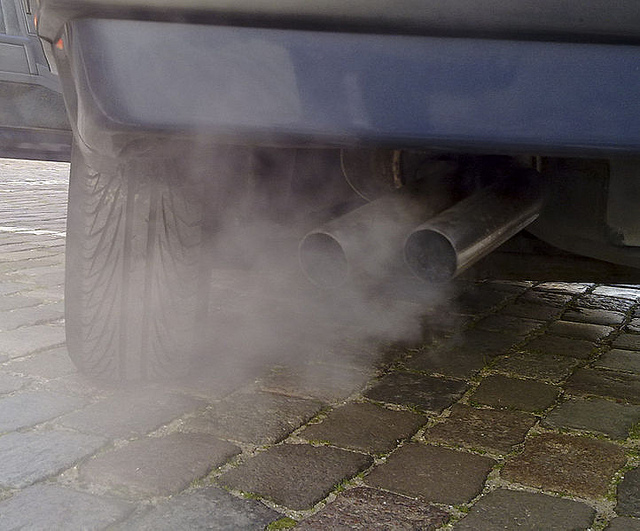 The emissions of nitrogen oxides (NOx) from diesel vehicles particularly troubling since NOx pollution is the cause of many early deaths in the UK every year. Given this fact, it might be surprising that diesel cars are even allowed on UK roads but the reason they are is due to the different testing that’s applied to cars compared to large vehicles. The International Council on Clean Transportation (ICCT) are one of the groups mainly responsible for revealing Volkswagen’s cheating in the recent ‘dieselgate’ scandal. The trouble with the current testing standards for diesel cars is that they’re only required to be tested in laboratory conditions and not randomly under real world driving conditions, as large vehicles such as buses and trucks are. Campaigners are putting pressure on the government to change this so that diesel cars are held to the same strict standards as large vehicles. In other news related to the environment, a new survey of auto bosses has shown that battery-powered cars are likely to dominate the marketplace by 2025. Even more surprising than this is that the car manufacturing bosses believe that half of today’s car owners will not want to own a car and would instead prefer self-driving cars. Electric and self-driving vehicles have been in the news a lot over the last few years and many people still believe the latter to be something that won’t be seen until the distant future. 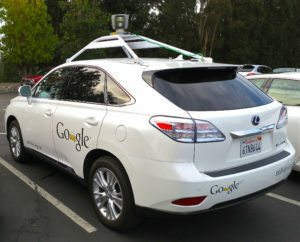 However the technology behind self-driving cars has already been tested and shown to be viable. 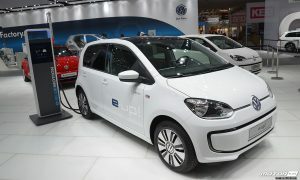 As far as electric cars are concerned – their popularity continues to rise with each passing year, as more and more consumers realise their unique benefits, such as lower fuel costs and a smoother driving experience.